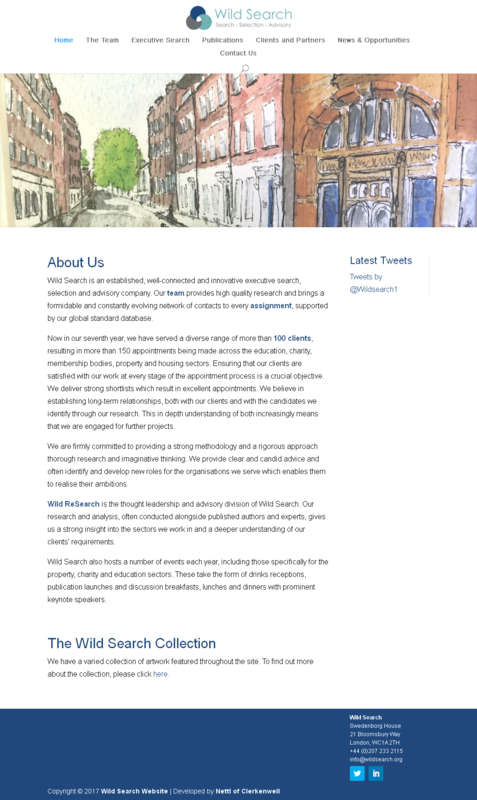 Wild Search is an established, well-connected and innovative executive search, selection and advisory company. Our team provides high quality research and brings a formidable and constantly evolving network of contacts to every assignment, supported by our global standard database. Now in our seventh year, we have served a diverse range of more than 100 clients, resulting in more than 150 appointments being made across the education, charity, membership bodies, property and housing sectors. Ensuring that our clients are satisfied with our work at every stage of the appointment process is a crucial objective. We deliver strong shortlists which result in excellent appointments.We believe in establishing long-term relationships, both with our clients and with the candidates we identify through our research. This in depth understanding of both increasingly means that we are engaged for further projects.